Beneficial predator insects are a great way to control pests in an organic garden. One of the best ways to control pests organically is through the use of beneficial predatory insects. Sometimes all you need to do is encourage the natural predators that already live in your yard; but if your garden has a particular insect problem, you may want to take steps to increase the predator population. Many types of beneficial insects can be purchased and released in your yard to control specific pests. Here are some tips for buying and using predatory insects to reduce pests in your yard. Did you ever imagine yourself ordering a box of bugs? With beneficial predatory insects, you’ll be doing just that, then releasing them into your garden to work their magic. There are hundreds of different types of beneficial predator insects, but not all of them are available commercially. These microscopic worms live down in the soil where they feed on a variety of underground pests. They’re usually mixed with water and sprayed directly onto the soil. Each type targets a different pest, so it’s important to choose the right one. Pest: Flea larvae, grubs, slugs, snails, and root weevils. These gnat sized wasps come in especially handy around stables and compost piles, if you have a substantial fly population. They are shipped in pupae form which then hatch. Pest: House flies, stable flies. These small mites feed on the larvae of fungus gnats and other insects that lay their eggs in soil. The adults are usually shipped mixed with an organic medium. Fungus gnats are particularly problematic around moist, marshy, or wooded areas. These lovely flying insects are shipped in egg form. The larvae are the predators, feeding on soft-bodied insects. The adults tend to fly away, so they may need to be reapplied to get a steady population. Pest: Aphids, insect and moth eggs, mealybugs, scale, spider mites, thrips, and other soft-bodied insects. Also known as lady beetles, these cute little bugs are voracious eaters of soft-bodied insects and larvae. They’re shipped as adults that are released into the garden. 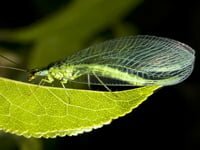 Pest: Aphids, leaf hoppers, mites, mealy bugs, and scale. These small wasps lay eggs in the larvae of leafminers. The eggs then hatch and feed on the leafminer until the adult wasp flies away. They’re shipped as adults. These tiny bugs are shipped as adults. They tend to stick around and are easy to establish a regular population. While small, minute pirate bugs eat large amounts of soft-bodied insects and larvae. 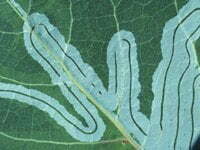 Pest: Aphids, leafhoppers, scale, spider mites, thrips, whiteflies, and young caterpillars. These tiny wasps are harmless to humans, but they lay eggs inside the bodies of insect larvae and eggs. It’s the parasitized larvae or egg that will be shipped to you for release into the garden. Pest: Over 200 types of creepy-crawlies including cabbage loopers, caterpillars, cutworms, and tomato hornworms. 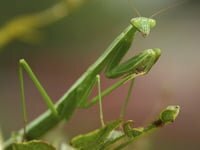 One of the largest and more ferocious garden predators, praying mantises can eat large insects (including, unfortunately, some beneficial insects). They’re shipped in their egg cases, which need to be properly attached to a sheltered branch for hatching. Pest: Aphids and mosquitoes (when young). Larger bugs, such as moths and grasshoppers (as adults). These tiny mites eat other mites. They’re shipped as adults and are great for greenhouses. Pest: Red mites and spider mites. Whiteflies are another pest of greenhouses and indoor plants, and this tiny parasitic wasp is attracted to their honeydew and lays eggs inside the pest. They’re shipped in larval form. Parasitic wasp larva feeding on a tomato hornworm caterpillar. Here’s a list of garden pests and predator insects that can be used against them. Diagnose Problem: Before you begin, you need to know exactly what kind of insect pest is damaging your garden, so that you can figure out which predator insect you need. Order Predator Insects: Predatory insects can be ordered online, from sites such as buglogical.com. Be sure you understand the habits of the insect you’re ordering, and familiarize yourself with the instructions provided by the supplier. Release Insects: Your shipment should come with detailed instructions on how to release the beneficial insects properly into the garden. 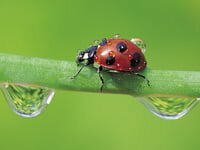 For best results, release the bugs in small batches, either in the early morning or late evening, just after you’ve watered your garden. Make sure there are plenty of blooming plants around to provide nectar and shelter. That way, they’ll land someplace pleasant and hopefully decide to stick around! Protect Investment: Give the good bugs a chance to do their jobs! Keep your garden watered and free of chemicals, particularly pesticides. Don’t rake up every fallen leaf, and leave a little bit of litter for shelter and egg laying. Also, try to keep something blooming in your garden to provide pollen and nectar. Wildflowers are especially attractive to beneficial predators. Give Predator Insects Time: Beneficial predators aren’t a quick fix; they’re just one step in creating a balanced organic environment where problems tend to take care of themselves. It can take several seasons for a natural predator/prey ecosystem to develop in your garden, so be patient with the process! what type of insects will help with a rat mite infestation? What predator insects can I use against a rat mite infestation in my home? Will Predator Beetles help eradicate the Hemlock Wooly Adelgid beetles that are slowly killing my neighbor’s Hemlock trees?